Reliable compact car with upgraded features, great gas mileage, & parkability. I like numerous things about my Mini Cooper including how easy it is to park, the speaker sound system, heated seats, gas mileage, and the sport mode feature. I would actually prefer to have a four door vehicle with more space. The other challenge I have realized is the difficulty I experience as far as smoothness of ride especially on roads with potholes like Chicago or Detroit. I have had to have the air conditioning fixed on the vehicle so far and a tire replaced due to hitting a pothole. The heated seats are almost too warm on the highest setting and there is not really any type of center console space. I do like the mood lighting feature in the cabin however and the ability to put the rear seats down to gain extra room. I get better fuel mileage than they said I would. I was thrilled when we found a small car with a full manual transmission. I love the sound of the turbo kicking in as I accelerate. It's just plain fun to drive. I also like how easy it is to park, due to the small size. My main problems come if there is a sharp angle ramp into a parking lot or speed bumps. The mini sits pretty much on the ground so I have to be very aware of those things and go super carefully over them. Fun to drive and city friendly. I love my car and it drives great! I love the size, has great gas mileage, and is perfect to get around the city in. I have had issues with it though. I had to replace the fuel pump because it was malfunctioning. The fmr module went out as well and had to be replaced. It is s high maintenance car so be ready to spend money on the car to keep it going. But if you can afford it, I believe it is worth it. 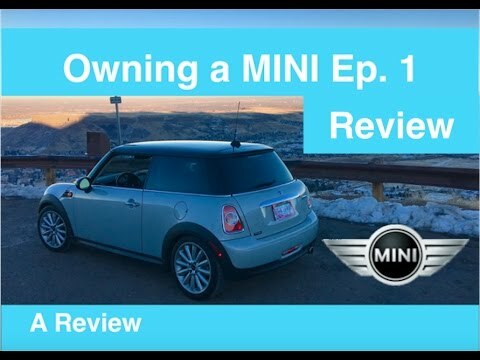 2011 Mini Cooper S Review - FWD means Fun Wheel Drive!